A Turkish prosecutor issued detention warrants for a total of 45 people in 10 provinces provinces on Saturday on accusations that they use a smart phone application known as ByLock, the state-run Anadolu news agency reported. 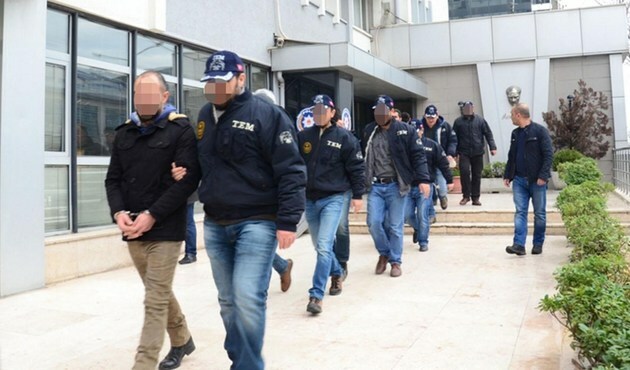 According to the report, warrants were issued for 45 people in 10 provinces by the Istanbul Public Prosecutor’s Office as part of an investigation into the Gülen movement, accused by the Turkish government of mounting a coup attempt last summer. Police carried out 62 simultaneous operations to detain the suspects, Anadolu said. Turkish authorities believe that ByLock is a communication tool among followers of the faith-based Gülen movement. Tens of thousands of people, including civil servants, police officers, soldiers, businessmen and housemakers, have either been dismissed or arrested for using ByLock since the failed coup attempt on July 15, 2016.